2010 has crowned yet another PokerStars champion. Even though most of this year’s November Nine were Full Tilt pros, a PokerStars player still came out on top. Congratulations to Jonathan Duhamel for winning $8.9 million by outlasting a massive number of people, many of whom are excellent players. The final table itself consisted of pros that have made a killing online. Duhamel likely takes great pride in the fact that he was the first Canadian to ever win the Main Event. The 23 year old quit university in order to focus on money poker sites after discovering he could make good money on them. He prefers cash games, getting dealt at 18 tables of short-handed poker at a time. He said he believes that being a cash player online aided him in his victory because he was highly experienced when it came to adapting to different preflop and postflop situations. Prior to this victory, his most significant live prize was overseas in Europe. In an EPT event in Prague he bubbled the final table of a €5,000 NLHE event for close to $55,000. At the start of this year he got some attention in the Main Event of the PCA, a series brought to the Bahamas annually by PokerStars. He received a prize of $17,000 for busting in 151st place. When asked what he will do with his winnings, Duhamel said that he is not sure yet, but he will definitely be buying seasons tickets for the Montreal Canadiens. Someone asked if he would be going back to school, and he said that there is a chance he will return for fun. For those that did not do well in this year’s WSOP, there is always WSOP 2011! If you want to achieve your dream of quitting your job and going pro, it is necessary to play as much as possible, study your hand histories, and learn from your experiences! PokerStars gives players all sorts of chances to make it to the PCA in 2011, but arguably the lowest risk way is through the World Cup of Poker (WCP). PokerStars forms 56 national teams that compete against each other to make it to the live final. The live final is hosted in the Bahamas early next year where 45 players will play for a total prize pool of $256k. The best player of the country as well as a PokerStars pro and three satellite qualifiers will make up each national team. 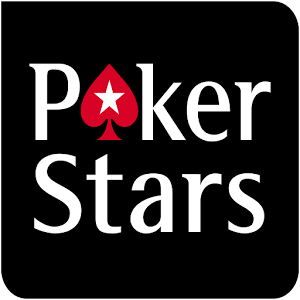 The highest qualifying player of the country on the 2010 PokerStars leaderboard is automatically on the team. Obviously most people will not place well enough on the leaderboard to make the team, however, so they must play satellites. These satellites were made especially for small bankrolls. There are freeroll qualifiers, FPP qualifiers, and the cash satellites are just $1. You would do well to enter the $1 and FPP tournaments because every player that tries them gets the opportunity in a $100k freeroll that takes place at the end of January if their national team wins it all! Once the teams are solidified, they are divided into divisions. The winning team of each division proceeds to the final round. Several tournaments will be played, and players get points depending on how they end up in their tourney. The teams with the most points win their divisions. The teams that win their divisions will be invited to ditch their mundane jobs in favor of the PCA in January. The winners all receive free flights and free lodging at the Atlantis on Paradise Island. Once they arrive to the Bahamas, each winner plays a one table tourney in order to determine how many chips their team starts out with. If anything, players will want a chance to play in this unique final table format not found in normal tournaments. The team’s chips are divided equally amongst its players and then each player receives cards for an orbit. After every team member has had to chance to add their chips and play an orbit, it becomes a fight for survival. Teams receive a portion of the prize pool depending on where they end up, and the team placing first receives $100,000. Because the PokerStars professional has a job to promote PokerStars, they are not in it for the prize money. This means that the other four players receive $25,000 each! PokerStars works extremely hard to create a great experience at the PCA. They also make it their goal to get as many of their players there as possible. For a chance to win big at the tables, try some of the PCA satellites. Be quick if you would like to qualify for the World Cup of Poker, though. The FPPs satellites finish up today!